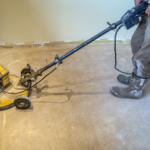 In the US screed is a flat board, or a purpose made aluminium tool, used to smooth concrete after it has been placed on a surface. 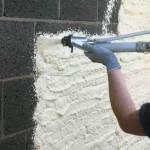 Also used to assist in leveling the application of plaster. 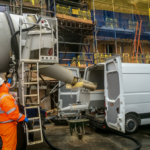 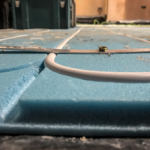 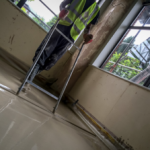 In the UK, screed is a thin, top layer of material (traditionally sand and cement), poured in situ on top of the structural concrete or insulation, on top of which other finishing materials can be applied, or it can be left bare to achieve an effect similar to that in buildings by Tadao Ando.